Availability: Out of stock. Estimated to ship in 3-4 business days..
A Dothraki chief who marries Daenerys Targaryen, Khal Drogo is an astonishingly fearless and fierce warrior, whose skill with an arakh is unrivaled. The Arakh of Khal Drogo is an exact replica of the favored weapon of this horse-lord. 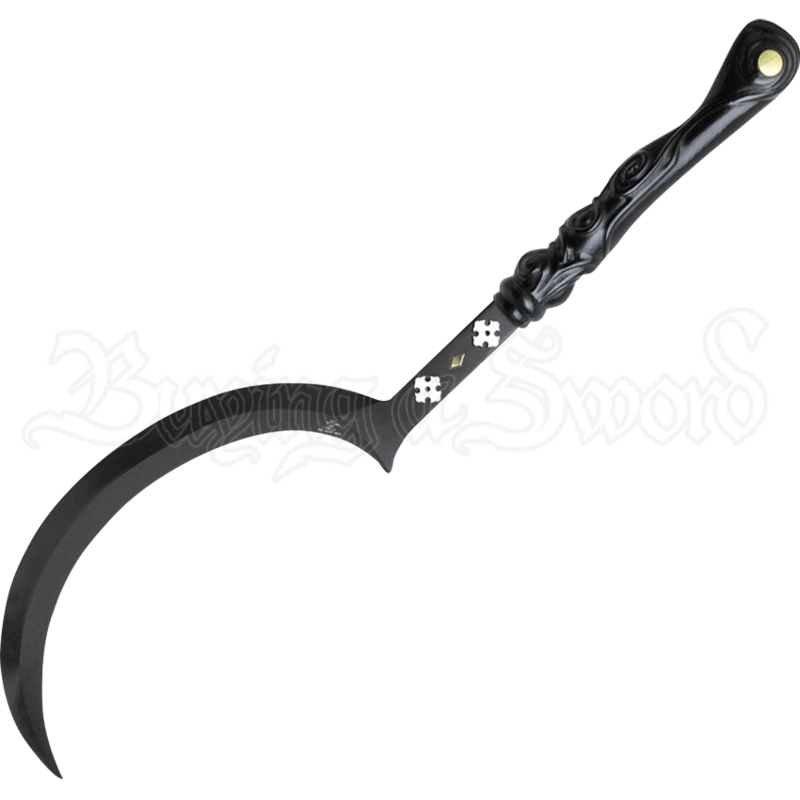 An arakh is a unique curved blade sword, which resembles a short sickle. 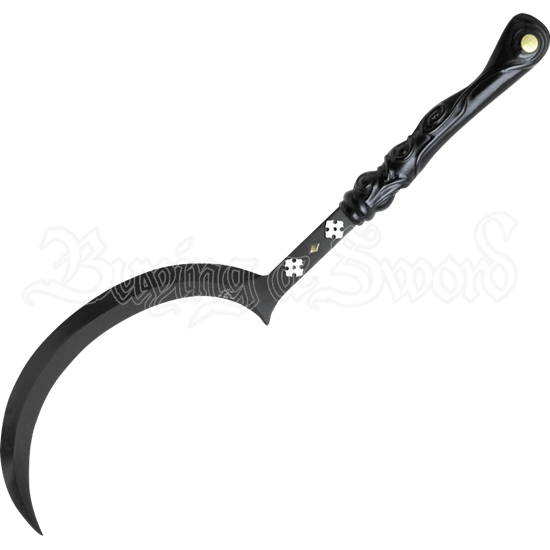 In this design, the crescent shaped blade is crafted from high carbon steel and features a black oxide finish. Two white crosses and a golden colored diamond accent the base of this blade, displaying the status of the one who carries it. Furthering the lavish appearance of this weapon, the handle is crafted from wood and features an intricately carved design. The Arakh of Khal Drogo is a superb collectible, whether you adore the Khaleesi, wish to be a bloodrider, or simply cannot get enough of the Game of Thrones series.